My layout for the Another Freakin' Scrappy Challenge. 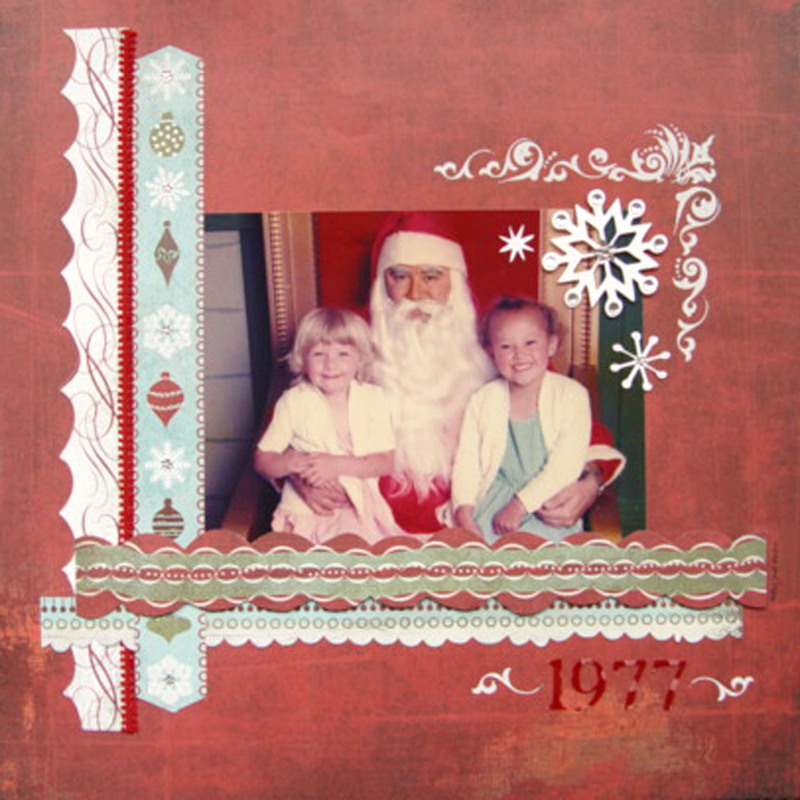 My little sister and I with Santa in 1977. (Yikes!). Basic Grey papers, Rub-ons, bling, ribbon, Cricut cut snowflakes (Accent Essentials cartridge), Cricut cut font (Plantin Schoolbook cartridge). Sweet layout, Kaby - such wonderful memories! Thanks so much for playing along with another Freaking scrappy challenge ... great to have you play with us!!! I was always too scared to sit on santa's lap, you look so happy to be there!! Gorgeous photo and love the rub-ons and snowflakes. so very cute! This layout is so super cute, I cried when I sat on santas lap, Thanks so much for playing along at Another Freak Scrappy Challenge.